Oak – Classic Patina – Texturewood® Floors by Birch Creek Millwork, Inc.
Our Classic Patina Oak is a mixture of new and reclaimed material made with a special touch to acquire a rustic looking floor at a discounted price. 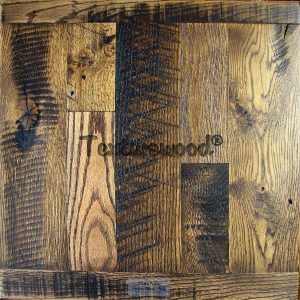 Get a hardwood floor with new textures that resemble a 100 year old floor, and mix it up with some reclaimed material and you have a character wood floor that doesn't break the bank. Stain is usually recommended to attain the correct look with this species. Occasional nail, bolt or peg holes. Nail and bolt holes occasionally have some stain surrounding the hole. Some natural weathering and character marks present. a. Thickness: ¾” b. Width: 3” –11” – Call for wider available widths. c. Length: 1’ – 10’ with no more than 25% of total footage under 4’ in length. 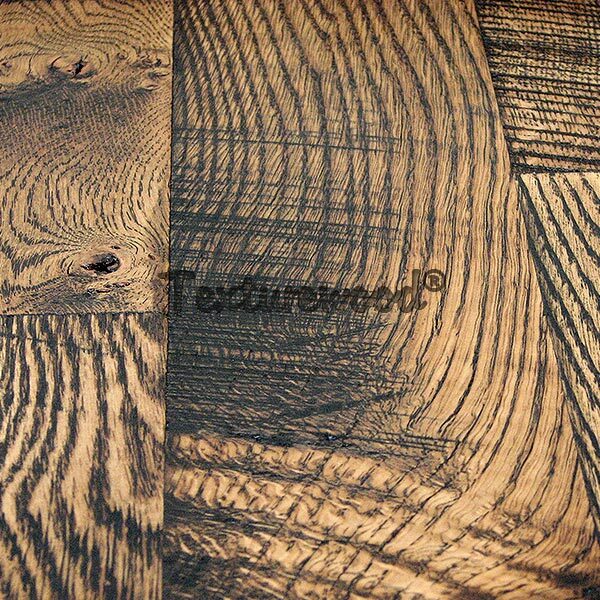 Smooth, Hand Scraped, Chalet, Skip Planed. 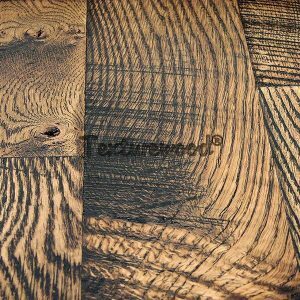 Character marks such as knots, checks/cracks, worm holes, sap, and natural color and grain patterns will vary in each plank within a sample. This is more so in reclaimed wood due to weathering and use. Therefore, your floor may vary somewhat from samples and pictures shown.